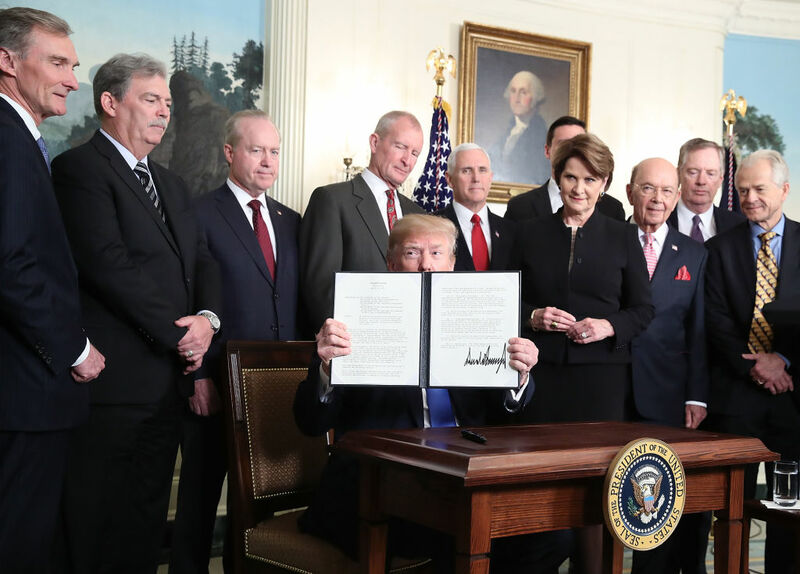 President Trump threatens, and then imposes, high tariffs on Chinese products and other restrictions on trade relations with China. ZTE corporation, a leading state-owned, high-tech company in China, is barred on national security grounds from importing US-made components that are essential to their products. Then the ZTE action is reversed, leading some Democratic senators to denounce Trump for going soft on China. A combination of measures would do the trick: 1) a government jobs program to hire, at a living wage, any worker who needs a job; 2) an industrial policy focused on greening the US economy through major investments in renewable energy, efficient forms of mass transit, and a transition to energy-efficient buildings; 3) generously funded retraining and education for workers displaced by imports; 4) an increase in the minimum wage to the level of a living wage. While not in the realm of political possibility in the immediate present, such a program would ensure that the rise of less developed countries wouldn’t harm the living standards of US workers.